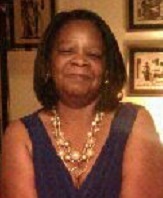 Mrs. Stephanie R. Allen, age 63 of 5922 Lakeridge Drive Fayetteville NC departed this life on August 24, 2018. Funeral services will be held on Thursday, September 6, 2018 at 12:00 Noon in Wiseman Mortuary Chapel. Visitation will be Wednesday, September 5th from 4:30 PM to 7:00 PM in the chapel. Burial: Sandhills State Veterans Cemetery. She is survived by: husband, Gregory Allen; son, Irick Allen; daughter Monique Allen; brothers, Rory, Chet and Paris Saunders; sisters, Andrea Randle and Donna Saunders; four grandchildren; two great grandchildren and a host of other relatives and friends. There will be a viewing Wednesday, September 5th from 4:30 PM to 7:00 PM at the funeral home.